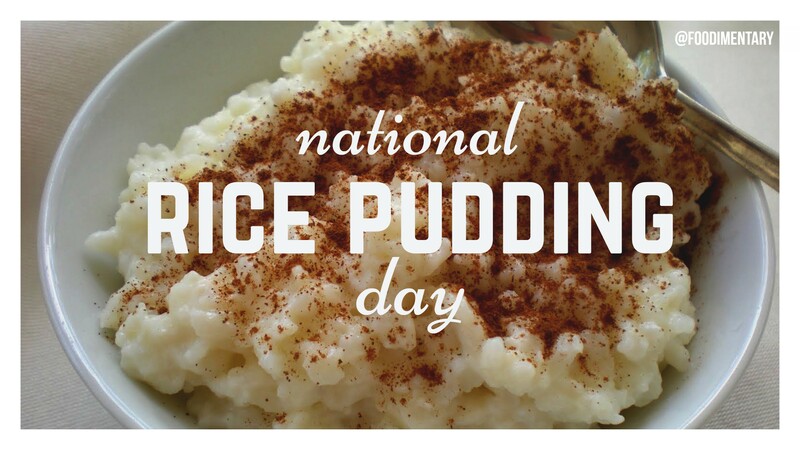 August 9th is National Rice Pudding Day! Hundreds of millions of the poor spend half to three fourths of their incomes on rice and only rice. Rice is the staple diet of half the world’s population. More than 90 percent of the world’s rice is grown and consumed in Asia, where people typically eat rice two or three times a daily. Rice farming has been traced back to around 5,000 BC. To plow 1 hectare of land in the traditional way, a farmer and his water buffalo must walk 80 km. 1593 Isaak Walton was born. He is mainly known for ‘The Compleat Angler, or, the Contemplative Man’s Recreation,’ which is one of the most frequently published books in English literature. It is a literary discourse on the pleasures of fishing. 1762 Mary Randolph was born. She was a Southern U.S. cookbook author, whose ‘The Virginia Housewife’ (1824) is considered the first cookbook of the American South, and one of the most influential cookbooks of the 19th century. It contains hints of the influence of African cooking on the cooking of the American South. Mrs. Randolph was also one of the first to use measurements in her recipes, rather than just a list of ingredients. 1910 Alva J. Fisher of Chicago, Illinois patented the electric washing machine. 1911 John Gates died. Gates was an inventor, promoter and barbed wire manufacturer. I love rice pudding. My grandmother made the best rice pudding I ever tasted.